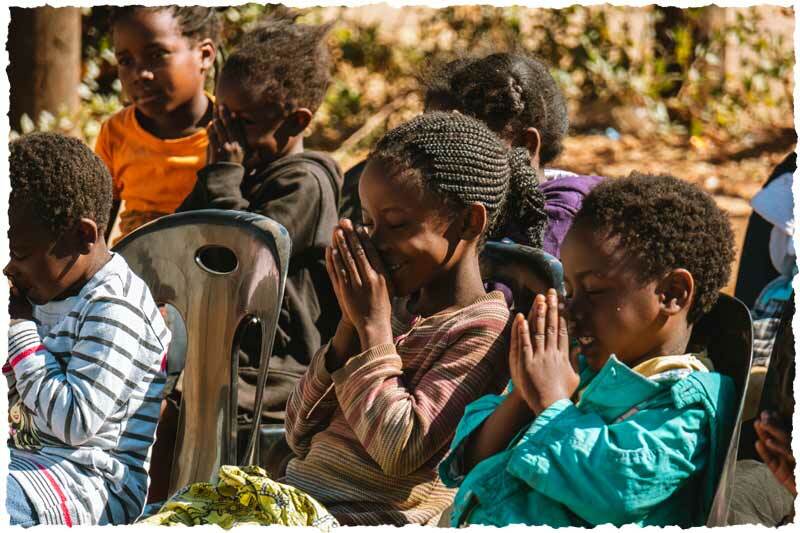 "Our Vision is that children meet God and experience hope." We want to see children filled with purpose and guided in a new path; the neverending love of God. We as Hope for One are dedicated to impacting children and families by placing ourselves in their surroundings and investing in their personal lives. 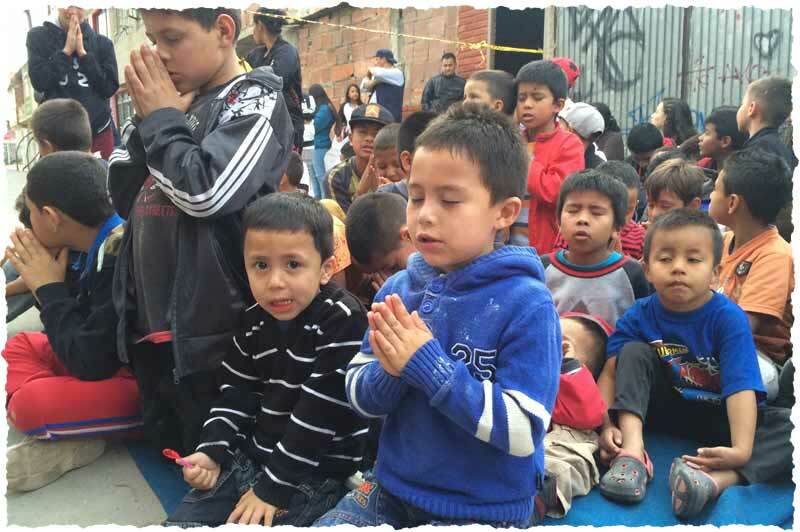 Giving children the opportunity to experience God’s love through weekly programs in their neighborhoods. Investing into personal relationships. Children are precious and need to know that somebody loves, listens and cares for them. Partnering with local churches, whom we empower to face the problems in their neighborhoods. Effectively meeting needs like child poverty, violence, abuse and hopelessness. 1. We create opportunities for children to have an encounter with God. Many children have an unclear understanding of God. We explain faith in ways, so that it is easy to understand for any child. The Bible shows us how important children are to God: „Let the children come to me…“ (Matthew 19: 14) Hope given by God can help them to overcome any obstacles by building up their resilience. 2. We strengthen the self-esteem of children. Through the Christian image of man and the faith in a loving God, we communicate to the children that they are loved, wanted and uniquely made. At the same time we are strengthening their self- esteem by highlighting to them the choices and decisions they have to make every day. 3. We teach the children how to socially interact with each other. Through the different lessons of our program the children learn about charity, honesty, self-control, kindness, forgiveness, thankfulness and peer pressure. But also in our personal interactions with the children we are doing our best to be an example to them and show them how to treat each other with respect. 4. We strengthen parents and families. Through Hope Programs we connect to the entire family. Being a contact point for parents we want to be able to support them with all they need. If needed, we offer help in making connections to different information and counseling centers. Participating in our program is always free of charge. Regardless of household income or social background children are welcome to join our programs. We support refugee centers and the process of children being instated into their environment. Our goal is to remove wrong prejudices and encourage friendship. 6. We meet physical needs. In a practical way we meet physical needs by providing clothing, food, school supplies and other needed necessities, because actions speak louder than words. 7. We help children to become responsible. Through programs for teenagers we are able to pick up different life subjects and discuss them in a suitable way, which are meant to lead them to take responsibility for their lives. By doing our best to raise them to be adults, who will interact responsible in this world, we accomplish a sustainability of our work.